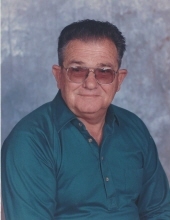 Earl Daniel Kinard, 84, passed away suddenly at his residence on Saturday, April 6, 2019. Mr. Earl was born in Smoaks SC on November 15, 1934 and was a son of the late Ernest W. and Mamie Sue McAlhaney Kinard. He was a retired Conductor with CSX Railroad and an Airforce Veteran of the Korean War. He was a member of the Seven Pines Baptist Church of Snelling SC. Survivors include his wife, Frances Lightsey Kinard of Barnwell SC; daughters, Laurie A. (Gregory) Pritzl of Orlando Fl., Andrea Kinard of Columbia SC and Rose Marie Williams of Ellabelle Ga.,son,, Danny Kinard of Manchester NH, step sons, John C. (Jane) Rivers III of Anderson SC and Tom (Monica) Rivers of Santee SC; seven grandchildren and six great grandchildren. He was predeceased by three brothers and two sisters. To send flowers or a remembrance gift to the family of Earl Daniel Kinard, please visit our Tribute Store. "Email Address" would like to share the life celebration of Earl Daniel Kinard. Click on the "link" to go to share a favorite memory or leave a condolence message for the family.